How to build HTML5 + Java Script + CSS web GIS App. 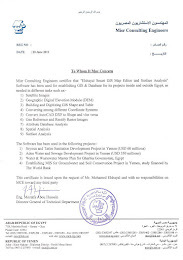 GIS Software Elshayal Smart GIS package is an almost First African Arabian Egyptian GIS software which completely developed by Arabian Egyptian developers team (Mohamed Elshayal & Salsabeel Mohamed Elshayal & Yaseen Mohamed Elshayal) and independent of any commercial software package, and It is not supported or funded by any organization. 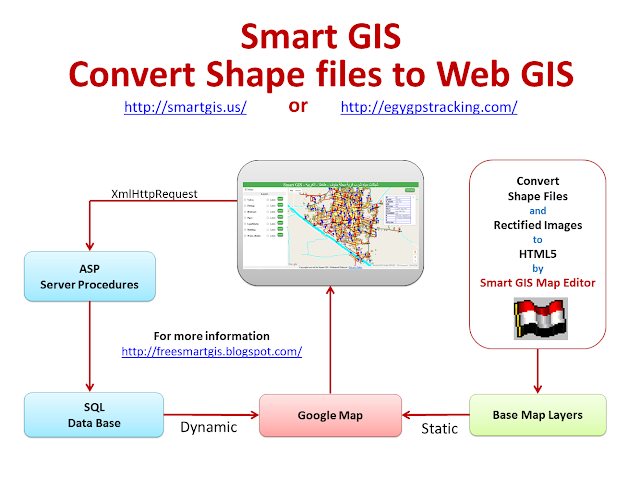 GIS Software Elshayal Smart GIS is a free lightweight software program which allows you to work with vector layers and raster images. It can be handled by users who specialize in GIS. The interface of the application is plain and intuitive, so you shouldn't have any problems in discovering its features if you are already familiarized with similar tools. 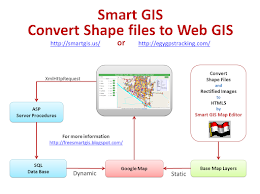 GIS Software Elshayal Smart GIS comes equipped with some standard functions, such as zoom, pan, box selection, identify, hyper link and measure. You can create new layers which focus on points, polylines, polygons and multiple points, as well as on combinations of these items. It is possible to automatically balance the image, go to a custom-scaled layer in Google Earth, validate layer boundaries, and edit the layer data table. Furthermore, you can use the undo and redo functions, insert and snap vertexes, rotate or scale the image, find items by data, divide polygons or polylines, combine multiple parts into a single one, toggle 3D viewing mode, as well as calculate the area and volume of the shape, among others. 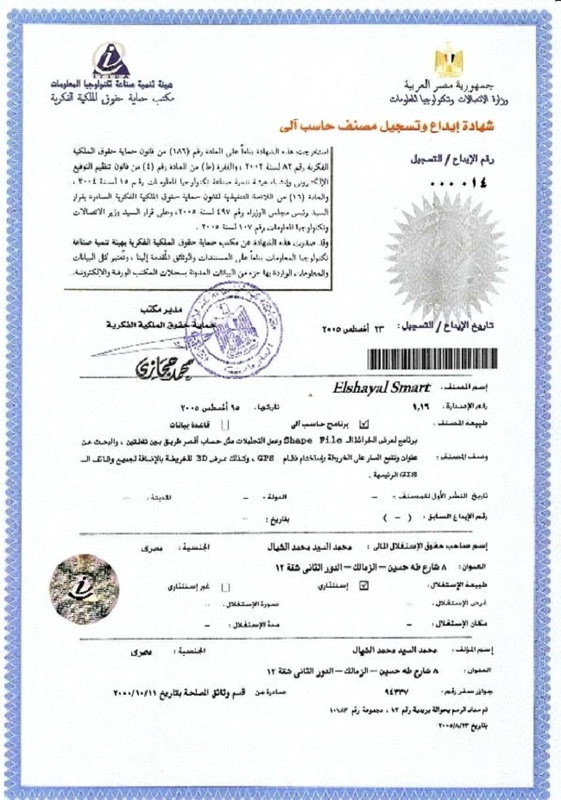 GIS Software Elshayal Smart GIS is primarily addressed to skilled users. 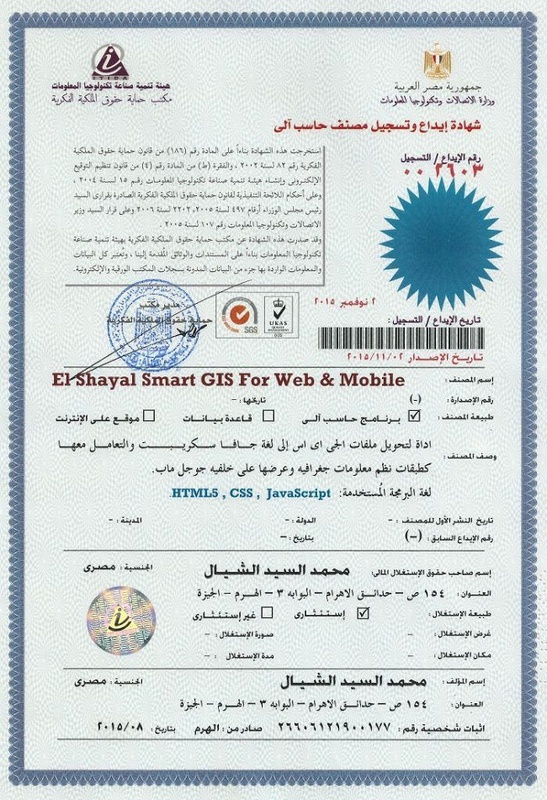 GIS Software Elshayal Smart GIS software is a GIS Standalone applications that Create & Edit & Publish Shape and Data base files and works on PC's , or Internet Server , or on Smart Phones. It is a new software that can work directly on the digital maps installed on the device or through a communication module and it can read from GPS receivers. A) Q. What is a Geographic Information System? A. 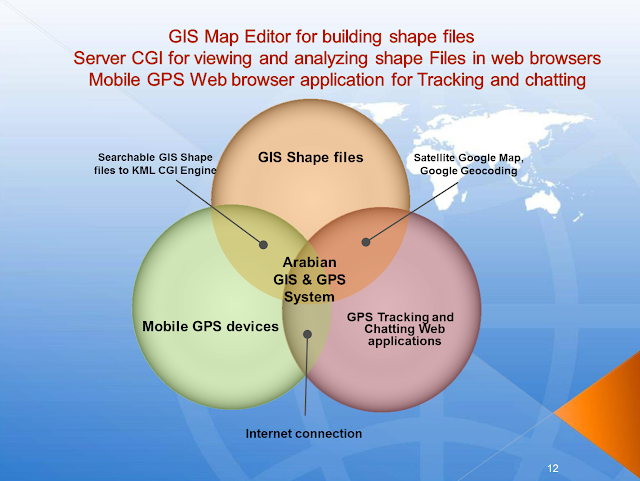 Geographic Information System (GIS) is a computer program for storing, retrieving, analyzing, and displaying cartographic data. Maps in Geographic Information Systems are represented thematically. A standard topographic map will show roads, rivers, contour elevations, vegetation, human settlement patterns and other features on a single map sheet. In a GIS these features are categorized separately and stored in different map themes or overlays. For example, roads will be stored in a separate overlay. Likewise, rivers and streams will each be stored as a separate theme. This way of organizing data in the GIS makes maps much more flexible to use since these themes can be combined in any manner that is useful. The following illustration shows conceptually how maps are stored as themes in a GIS. Each different theme is stored on a separate overlay. The overlays on the left represent a vector based GIS, where the information is stored as a series of points, lines and polygons. The overlays on the right represent a raster based GIS, where the information is stored as a series of discrete units called cells. The North Pole is 90° N; the south pole is 90° S. The 0° parallel of latitude is designated the equator, the fundamental plane of all geographic coordinate systems. The equator divides the globe into Northern and Southern Hemispheres. The Longitude (abbreviation: Long., or lambda) of a point on the Earth's surface is the angle east or west from a reference meridian to another meridian that passes through that point. All meridians are halves of great ellipses (often improperly called great circles), which converge at the north and south poles. The UTM system divides the surface of Earth between 80°S and 84°N latitude into 60 zones, each 6° of longitude in width and centered over a meridian of longitude. Zone 1 is bounded by longitude 180° to 174° W and is centered on the 177th West meridian. Zone numbering increases in an easterly direction. Each of the 60 longitude zones in the UTM system is based on a transverse Mercator projection, which is capable of mapping a region of large north-south extent with a low amount of distortion. By using narrow zones of 6° (up to 800 km) in width, and reducing the scale factor along the central meridian by only 0.0004 to 0.9996 (a reduction of 1:2500), the amount of distortion is held below 1 part in 1,000 inside each zone. Distortion of scale increases to 1.0010 at the outer zone boundaries along the equator.